Well built 4 bedroom, 3 bath home with 2x8 walls (R44 insulation), located next to golf course on a cozy cul-de-sac location. R60 insulation in the attic. Enjoy the remodeled kitchen (2011), large master bedroom (2011), bathroom (2013) and renovated rec room (2013). This home has good quality materials including hardwood & tile floors, triple sealed windows and a high efficiency gas furnace. The house has a large 0.44 acre lot, with a fully fenced backyard and large deck with new railing system (2013). 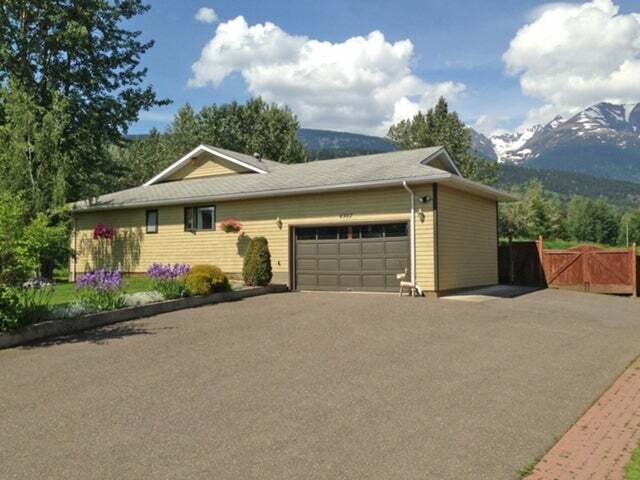 Close to walking trails, park and ski out trail. Plenty of parking available with garage and room for an RV on the large paved driveway. With a freshly painted exterior and well kept interior, this house is move in ready.